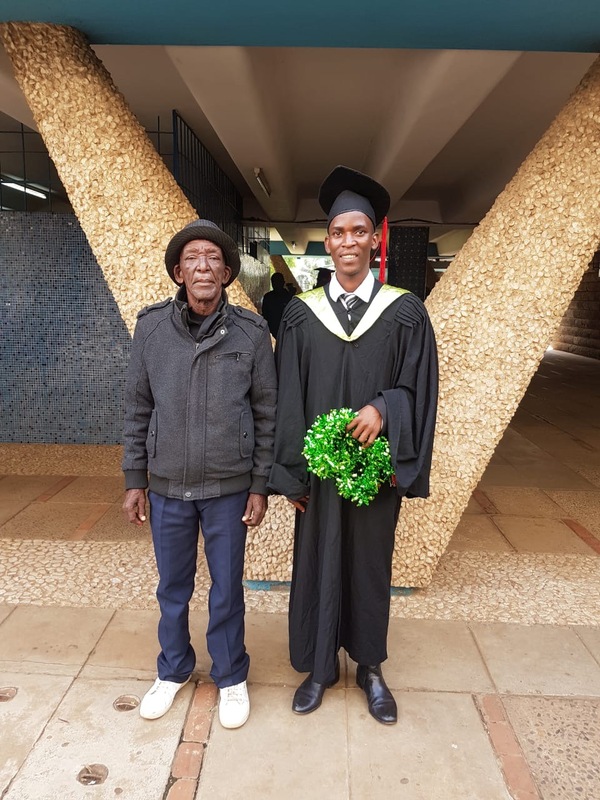 After four hard years, on the 21st December 2018 Emmanuel graduated from the University of Nairobi with a 2.1 degree in Economics and Statistics! Amy and Rieder announce the total amount raised at our 10 year anniversary ball! Ahead of the big 10th Anniversary Ball next Saturday we held an informal event for sponsors to be able to meet up with Rieder and hear about how their sponsored children are getting on over in Kenya. Edward joins the Scouts with a little help from his sponsors. Our Star Auction Item - 3 Nights at the Mahali Mzuri Safari Camp! Find out about our star auction item - a wonderful 3 night stay at the world famous Mahali Mzuri safari camp which is worth over $5000! You can bid even if you can’t make it on the evening via our website and be in with a chance of enjoying a once in a life time stay! Who wants to win a bottle of Prosecco? In Kenya, plastic bags have long been a big part of everyday life but in 2017 the Kenyan government banned all plastic bags, find out about the impact this is having on the local community. The Norwich Medics RFC have had their annual chairman’s dinner to raise money for Milele. Get your 10th Anniversary Ball tickets here! We are very happy to say that tickets to our 10th anniversary ball are now available for sale on the brand new Milele website! As we approach Milele's 10th anniversary we have been thinking about what Milele has achieved so far and how we define success. Milele will officially be 10 years old in September 2018 and we are holding a ball to celebrate and raise funds for our next 10 years! Ordinarily Milele sponsors young children beginning at their primary education, however there is one exceptional young man who broke all the rules. Back in 2010 we had worked with Emmanuel at his primary school, with Rich in particular developing a great relationship with him after teaching some maths lessons at the school. Emmanuel would arrive before everyone else in the morning and was the last to leave at night. He came in to study on weekends and holidays, even when the school was officially closed! He repeatedly asked Rich to set him extra homework questions even after he had completed an entire textbook worth of practice questions! Despite being exceptionally hardworking, Emmanuel’s family are not financially able to afford school fees. Living in a remote rural village, Emmanuel’s father works his land to feed the very large extended family. In addition to this, just as Emmanuel started his final year of secondary school his family had some very bad news. After losing his two year old sister in a fire accident, his mother was also diagnosed with advanced breast cancer. Despite receiving treatment, she tragically passed away in December 2010. Emmanuel and his family value education above all else, and indeed his mother sacrificed the money saved for her operation in order to enable Emmanuel to attend the first term of secondary school and continue achieving. Emmanuel (on the right) with his father, brother and little sister outside his house. Without your support to achieve his dreams, Emmanuel would never have had the chance to attend any form of education beyond primary level and his future would have been restricted and far too predictable – what a waste of a hardworking, dedicated and passionate young mind. 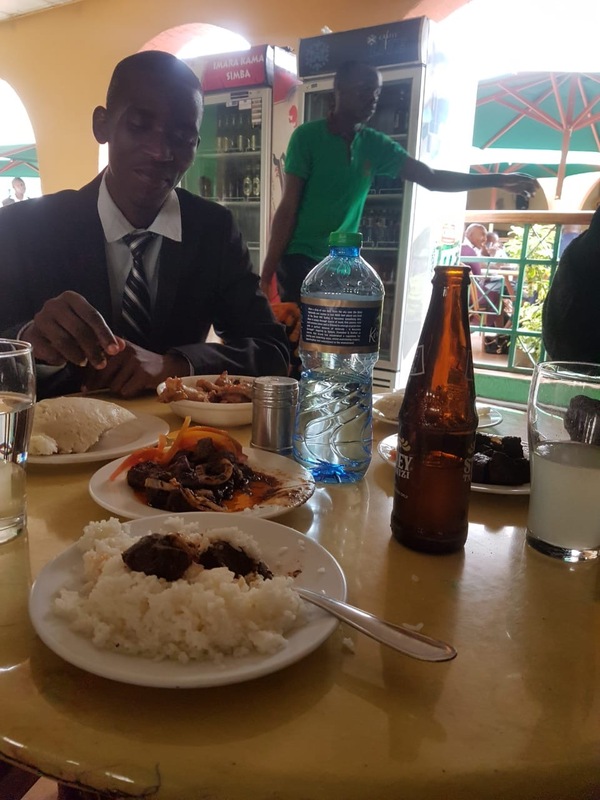 In September 2014 Emmanuel became the first on the Milele Programme to go to University – beginning a BSC in Economics and Statistics at the University of Nairobi. The University of Nairobi is the best university in Kenya and 7th in Africa. Emmanuel has performed really well in his first semester receiving A grades for some of his varied modules averaging a top B grade over his 8 modules. A degree level education has opened doors for Emmanuel which no-one in his family has ever been able to access. His future is bright and exciting and most importantly he has choices and control over his life. We are very excited to announce that after four hard years the 21st December 2018 saw 'Big' Emmanuel graduate from the University of Nairobi with a 2.1 degree in Economics and Statistics! His dad attended his graduation along with Rieder and we as you can see from the photos attached he was quite rightly glowing with pride. They all went out for a meal together afterwards to celebrate his success and had a fabulous day. No-one could be more deserving of a degree. Our first graduate of the Milele programme, Emmanuel gives us all a reason to be proud and proves what Milele is here to do. Our co-ordinator Rieder has just landed back in Kenya after a wonderful 3 weeks here in the UK. We asked him to write a brief update for the website to share his experience and some of his highlights from his trip with you. "I was happy to see Amy and Rich on my arrival, despite being a long journey. Amy and Rich managed to organise a lot of training for me and that was really important in my work. I learnt a lot of new things I can use in my job from each training and also met some of the sponsors, which was really good for me to share with them about the kids they sponsor and their families. THANK-YOU to all the contributors and everyone who made this training possible for him - it will have a hugely beneficial impact on Milele in the years to come. “The 10 year's celebration of Milele Program was one of my best memories I will ever keep. It was amazing to see how people supported Milele in every way they can to make it successful. As I travel back home, I know saying goodbye is always hard, but I am more confident and well equipped with knowledge which will help me transform the loves of our kids and ensure they have a brighter future ahead. Thanks to everyone for being welcoming towards my visit. I really appreciate everything you have done for me throughout my stay in the UK. 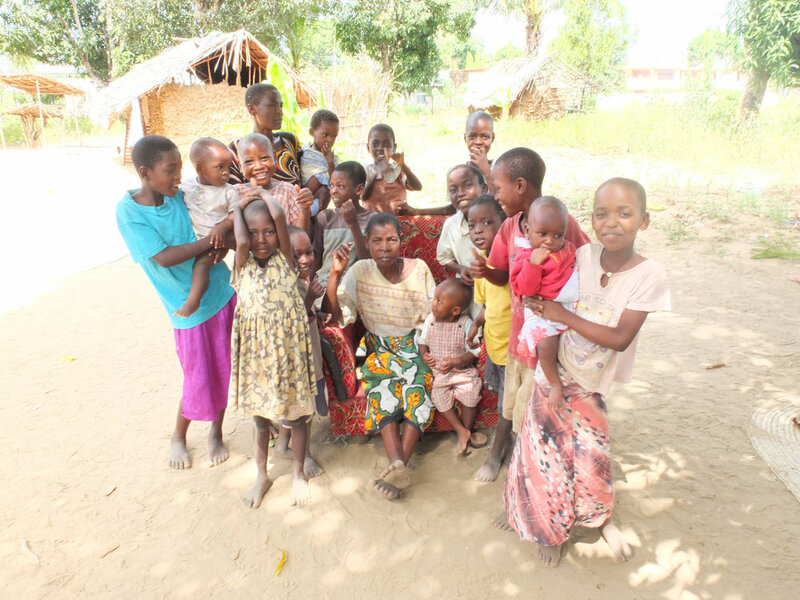 Ahead of the big 10th Anniversary Ball next Saturday Emily (one of Milele's wonderful trustees) thought it would be a nice idea to have a more informal event for sponsors to be able to meet up with Rieder and hear about how their sponsored children are getting on over in Kenya. So we hired Leire village hall, baked some cake and invited sponsors along to meet Rieder and get a sneak preview of the photo boards being prepared for the ball. The event was a big success with lots of sponsors who are unable to make the ball getting to meet Rieder for the first time . Rieder was able to regale stories about the children and tell their sponsors just what a difference they are making. When he returns to Kenya he'll be able to tell the children how kind their sponsors are and how passionate they are about education. It was wonderful to see Rieder come into his own whilst interacting with the sponsors during the event. 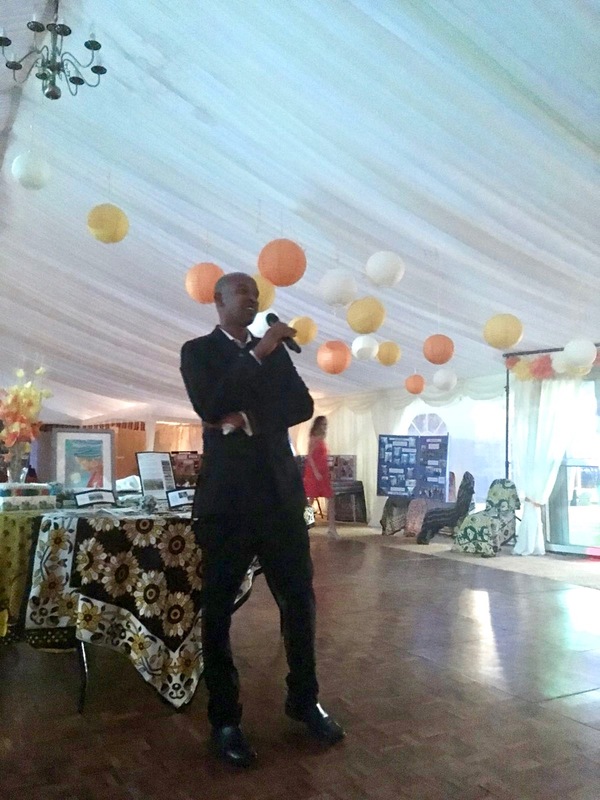 His confidence has grown immensely over the course of his trip and he was also able to share with sponsors more about his role & responsibilities in Kenya, which enabled them to understand just how vital his role is to Milele. We're now back into ball preparation mode and putting the finishing touches on what is set to be a great evening for all involved. Don't forget to check out our star auction item and make sure to tell anyone you know who us going to Kenya (or nearby) before October 2019 as you can bit even if you're not there on the night.